It’s all a matter of timing. After a citizens complaint, Orange County traffic engineers checked the traffic light located at the intersection of Northbound Hiawassee Road and Clarcona-Ocoee Road and determined that the caution light was too short. The Florida State standard for caution light duration is 4.3 seconds. Orange County red-light traffic engineers concluded that the traffic light at that location was shorter by .3 seconds. As a result, Orange County will refund $41,000 to some 260 motorists who were ticketed between August 1, 2012 and May 6, 2013 at that intersection. 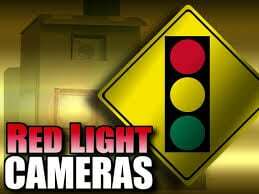 Orange County currently has 50 cameras installed at intersections throughout the county to try to catch red-light runners. Currently, the fine for running a red light is $158 of which, $75 goes the the county and $83 to the State of Florida. Each camera costs the county $3,837 per month to operate and brings in $8.8 million in revenue from red-light fines to the county per year.